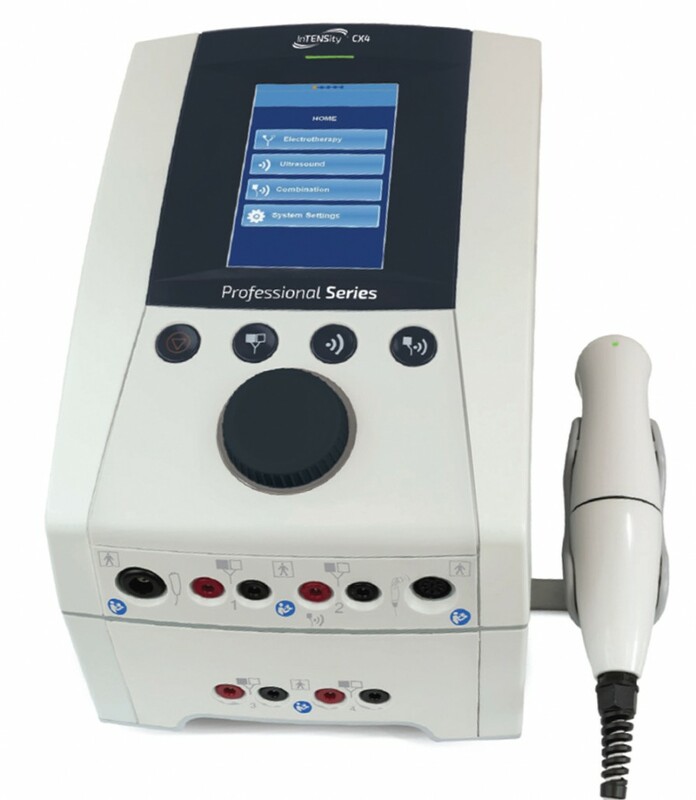 system offering the practitioner a wide range of treatment options in one userfriendly, ergonomic design at a fraction of what other systems would cost. 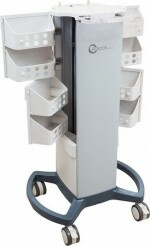 placement to ensure better treatment outcomes and improved clinic efficiency. Parameters for a Variety of Conditions. muscle-firing patterns of a healthy individual during functional movement or activity. 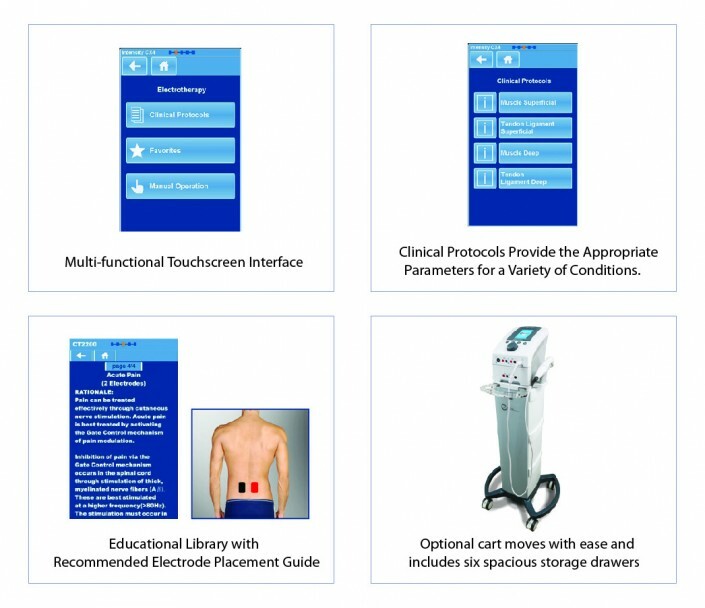 Equipped with a color, touchscreen menu-driven interface that intuitively groups and displays clinical protocols, guiding clinicians step-by-step to ensure the ideal therapeutic treatment. A few simple key presses are all that is needed to quick-start a treatment. Parameters can be easily selected and adjusted. Clinicians can choose to use preset clinical protocols or customize their own. The “favorites” feature allows user-defined protocols to be stored for future use.